Today was a half-day of instruction followed by a half-day institute. Not much to do with classes that short other than take a practice quiz on thin-film interference. 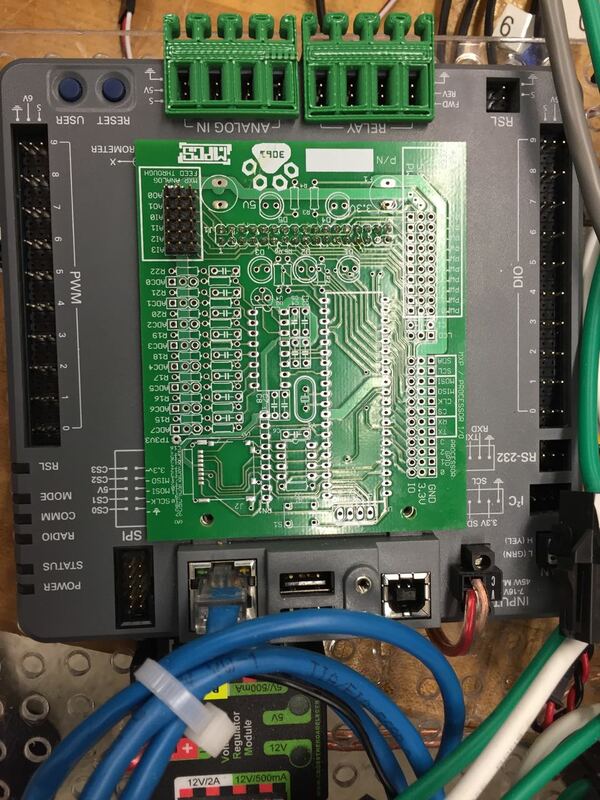 No photo of the quiz or the class; so, I’ll share a photo of a board designed by students on the Huskie Robotics team that plugs into the MXP on the new roboRIO controllers for the FIRST Robotics Competition. This board exposes all sorts of additional functionality through the MXP. Such a cool project and fantastic to see the fabricated boards in hand!